Explore Contrast Security's thought leadership pieces below. "Contrast Security has one of the most elegant solutions out there for application security. "Read the report. Gartner again positions Contrast Security as sole “Visionary” in the Magic Quadrant for Application Security Testing.Read the report. Gartner again positions Contrast Security as sole “Visionary” in the Magic Quadrant for Application Security Testing. We believe being named a Visionary validates Contrast Security's ability to replace legacy application security testing solutions. Read the 2018 report to see a comprehensive view of best practices and trends in application security and a complete assessment of vendors in the industry space. Our Contrast Assess solution product is an Interactive Application Security Testing tool that transforms an organization's ability to secure software by making applications self-protecting. 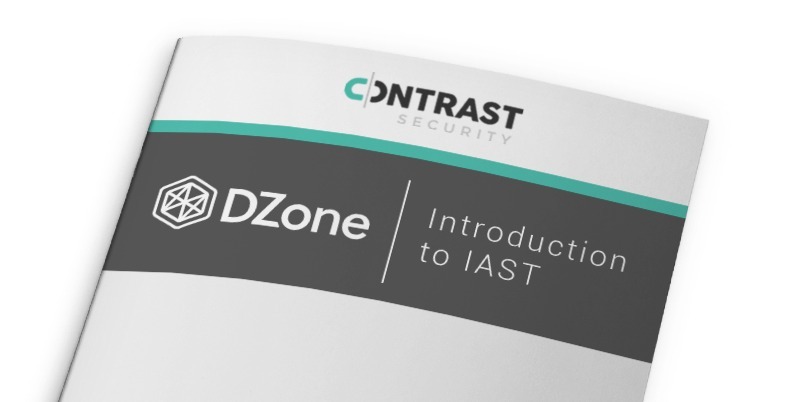 This whitepaper will cover how IAST's architecture makes software capable of assessing itself continuously for vulnerabilities while providing the highest accuracy, efficiency, and coverage. This report highlights analytics gathered from within 1,857 running applications, including several thousand different open source libraries, frameworks, and modules. 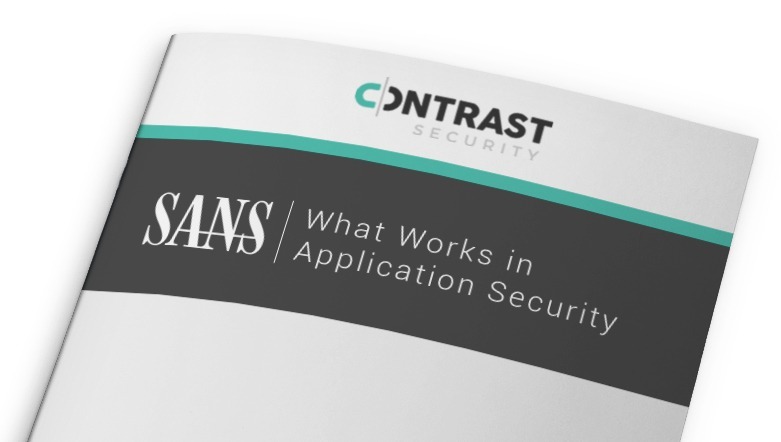 Read this whitepaper to get the full report on all analysis results gathered by Contrast Labs on running applications and APIs using Contrast's security analysis and protection platform. John Pescatore, Director of Emerging Security Trends at SANS Institute, interviews Liberty Mutual on their selection and deployment of Contrast Security. The Application Security team was looking to identify application security tools and processes that are more accurate and faster, as well as to integrate into Agile development frameworks and CI/CD. We reject the old paradigm of periodic and serial scanning, hacking, and patching, which has proven expensive and ineffective. Instead, Continuous Application Security (CAS) relies on security instrumentation in every application to provide security visibility, assessment, and protection in real-time and in parallel across the entire application portfolio. Read this whitepaper to review why today's application security leaves enterprises wide open to attacks. And even worse? The adoption of these tools has caused tensions within businesses and in some cases, cultivated a false sense of security. A new approach for securing applications will be introduced to provide the speed, visibility, and accuracy across the entire application portfolio while delivering all layers of defense organizations need. The problem is simple, we have a massive "scale" problem in application security with a very limited number of security professionals to apply to the problem, but there are almost 20 million developers worldwide. Running tools such as SAST, DAST, and SCA requires the needed skill to utilize in your DevOps teams. IAST allows you to automatically identify and diagnose software vulnerabilities in applications and APIs without expertise needed. IAST is designed for software development, where accurate results are needed quickly, but security expertise is scarce. 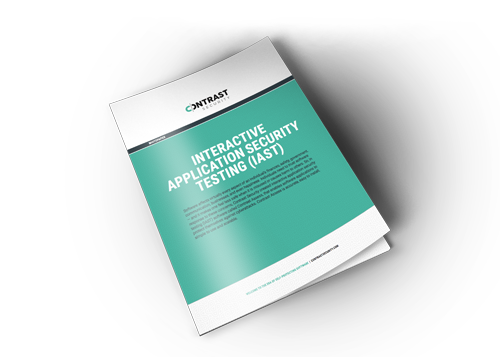 According to Gartner "The goal of IAST (Interactive Application Security Testing) is fast and accurate security testing that is suitable for use in development, where minimal security expertise is present and accurate results are needed quickly.” Read how Contrast Assess, our IAST solution, deploys an intelligent agent that instruments the application with smart sensors to analyze code in real-time from within the application. Success with Digital Transformation faces many challenges therefore, organizations must ensure every link in their digital chain is strong. This executive brief will cover how its weakest link, security, increases the risk because of the increase in dynamic, modular, and distributed software. This executive brief outlines 6 pro tips on how to establish a DevOps-ready Security program fabricated by lessons learned across every successful DevOps focused organization. Contrast Security has witnessed and assisted in the revolution of information security in an Agile & DevOps world. In the course of a single month, every application will be attacked at least once, and more than half will experience many thousands of attacks across a wide array of vectors. 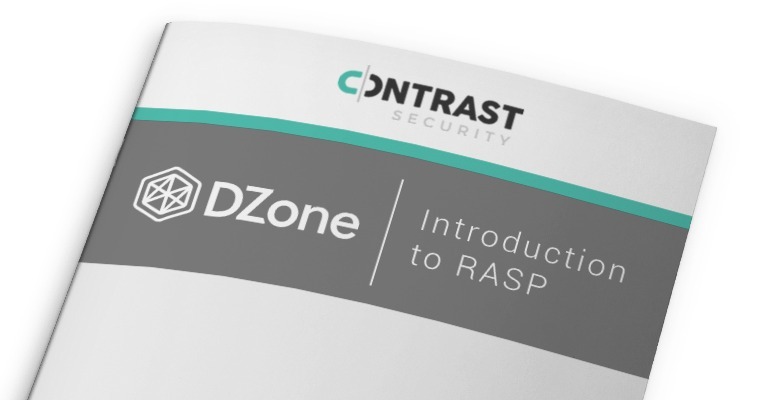 Read this DZone article to learn how RASP prevents vulnerabilities during deployment and detects attacks and prevents exploits in production. In this executive brief, we leverage four reasons why the time for Static Application Security Testing (SAST) has passed. We provide a practical comparison between Contrast Assess (IAST) and SAST tools to examine their respective abilities to deliver coverage. Learn how RASP can transform your security organization in both the development and operation cycle. RASP delivers visibility into application security events, better and broader application protection, and security that fits with modern application approaches. In 2015, the Cyber Security Division of the United States Department of Homeland Security (DHS) co-funded an application security benchmark project to measure the speed, coverage, and accuracy of application security products. The Open Web Application Security Project (OWASP) allows organizations to freely assess products they have or are planning to use. The results demonstrate conclusively that most organizations are operating with a false sense of security, and need to revisit their application security technology choices. The Four Critical Dimensions of Application Security "Coverage"
For many, “coverage” is the third rail — yet it is perhaps the most critical part of your application security strategy. It is a deceptively complex concept, but in this technical brief, our recommendations can help you build an application security program that allows organizations to understand and improve coverage, instead of just measuring the size of your pile of vulnerabilities. Open Source Software (OSS) continues to grow in popularity because of its ability to help organizations accelerate the release and delivery of software. Read this solution brief to learn how Contrast Security empowers your organization to work rapidly while weaving security seamlessly into your OSS to successfully reduce software vulnerabilities and associated risks. The advent of ASM provides IT Operations and Security teams unprecedented visibility and control over the security of the application layer. Operations teams already use similar tools for monitoring performance of the running application: Application Performance Management (APM) solutions such as AppDynamics, Dynatrace or New Relic. These telemetry products use an agent-based technology to instrument the running application and measure performance — just like Contrast does for security! This executive brief outlines 5 facts that executives must know about Runtime Application Self-Protection (RASP). RASP is an emerging technology that allows organizations to accurately and easily stop hackers from comprising the #1 data breach vector – custom enterprise applications. With the Open Web Application Security Project (OWASP) Benchmark, organizations now have a way to systematically evaluate the strengths and weaknesses of their current solutions and alternatives. Contrast Security, which the OWASP Benchmark demonstrated as exceptionally accurate, is an evident choice to augment or replace existing SAST and DAST tools. Ultimately, Contrast Protect was originally built to be a "WAF killer" however, as we started making conversations with organizations, they stated that WAF was a worthwhile investment and they do not plan on getting rid of it. For this reason, we instead leveraged our RASP technology to help aid known limitations of WAF for a better, more accurate way to protect web applications in production. Take a few minutes now and you might never spend time testing applications again!.